What Are Lead Generation Power Tools? 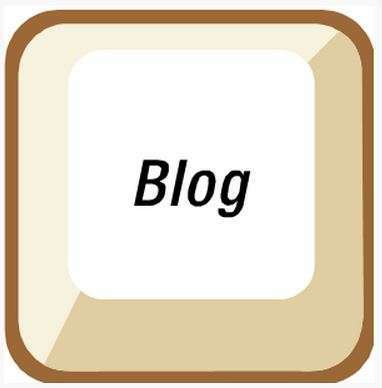 A how-to guide to start your company's blog and use it as a lead-generation strategy. Feeding your everyday thoughts into cyberspace, especially with them all bearing the logo of your company, can feel somewhat daunting. But customers are people, and people like to be engaged. Utilize lead generation power tools to continually interact and inform your customers. Lead generation is what gets your prospects hooked. It leads them to your front door without spending an extraordinary amount of time, effort, and sales dollars on prospecting. With the explosion of the Internet and social media sites, lead generation has become easier, but it also has become more confusing and segmented. At this point, starting a company blog is a no-brainer. Not only do frequent blog posts keep fresh content on your website and drive organic traffic, but they provide a real service to the customer. In your blog, you can explain how your products or services relate to Customer A. You can write simply about what’s going on in the industry to provide readers with a unique viewpoint. Your blog gives your company a voice that a product list — or even a staff biography — cannot. How do you start a blog? Well, first you need a strategy. Will there be a focus for the blog? Are certain topics off-limits? Word count? Who on staff will be blogging? The approach should be as informal-yet informative-as possible. The best way to do that is to open up the blogosphere to as many staff members as you can. Each brings a different expertise and a different voice to the table. It’s a process. Just get it started, and if something doesn’t work, fix it. Begin now and start learning. Everything you write about should in some way reflect the expertise that your company houses. If you float throughout your average workday with the idea “Could this be a blog post?” in the back of your mind, topics begin to formulate naturally. Also look to customer comments or inquires. If one customer is confused, there’s a good chance that more of them are. Why not address the issue in a blog post? WordPress software is very easy to learn once installed, and it has the added bonus of being directly linked within your website. But if you want to go even simpler, use the online version of WordPress or a variety of other sites like Google Blogger or Tumblr. Simply link to your blog from your website and/or put in an RSS feed on your website. Twitter is all the rage for a variety of reasons. From an Internet marketing point of view, it allows a type of interaction with the customer — or potential customers — that did not exist before. Start by searching for and adding others in your industry, post your blog entries, and respond to others’ inquiries (even if they have nothing to do with your company). If you’re new to the whole idea of microblogging, watch this quick video explanation, called Twitter in Plain English. The key to developing this one of the lead generation power tools is to start building your network. You can begin by adding people you know and testing out a few tweets, but the more quickly you have followers, the more exponentially the connection will spread. Search for users who are talking about things related to your industry and start following them. Many will follow you back instantly. Even if they don’t, you’re still visible on their followers list. Using Twitter for commercial purposes is still a somewhat nebulous proposal. But everyone on the site is promoting something, whether it’s their blogs, their company, or themselves (yes, people find jobs via Twitter), so the idea isn’t new. The trick is to be a humble narcissist. Give them something useful — a reason they would want to follow what you Tweet. If you have a blog, it’s a great start. Every time a post is published, link to it in your Twitter feed. But don’t think that’s all the site is good for. Simply linking to your blog doesn’t mean people will follow it. Direct message people who follow you thanking them and asking how you can help them. Link to other articles you think your network will find interesting, not just your own. Unless you are a trained writer, it can be difficult to come up with fresh, new content at least once a day to keep your blog updated. Even if you are a quick writer, it takes time to do some background research and fully formulate an idea before you even begin to put pen to paper – er, finger to keypad. That’s where this one of the lead generation power tools comes in handy. Considering that we are supposed to be blogging in our “spare time” it can often seem like a waste of time as paperwork begins to pile up on our desks. But what if you could get more mileage out of your posts than simply Tweeting out the link or RSS feeding it into your site? Post it where others will read. There are so many websites out there that are simply a network of articles, blog posts, or full blogs. So, you’ve Tweeted your post, but have you Stumbled it, Digg (Dugg?) it, posted it to Delicious? Does your blog have a Share This plug in so others can easily do the same? Use reputable sites to take your blog posts or articles, republish, and get valuable link backs. One example is ezinearticles.com. There you can publish your own original content about most any topic, leading to even more lead generation for you. You don’t have to span the whole wide world of social networking and post on every single site. You would need a full-time employee just to find all of them. But by making a checklist and checking off a few sites with each post, you increase the chances that your blog post will be one of the lucky ones that get noticed, or better yet, go viral. In addition to the benefit of getting your company’s messages to more readers in more places, republishing content also provides valuable back links if you’re posting to reputable sites. The more exposure for your company the better. And by masses, I mean the big social networks. Create a Facebook Fan page or group where you can get out even more information about your company, products and services. You can also link up with others who are simply there for networking purposes and are more than happy to help you get the word out. Other massive networks of worth are LinkedIn and Plaxo. Join where you can and make connections. Word-of-mouth has turned into word-of-wall-post. It’s hard to get away from the big social media networks because that’s where all the people — and potential customers — are. I’m talking, of course, about Facebook, LinkedIn, Flickr, etc. The key is utilizing these mammoth social media sites to work for you, and they keep making it easier and easier as more networking sites make the shift to accommodate business. On Facebook, create a Group or a Fan Page. Fan pages are geared more toward commercial usage, but it depends on what kind of business you’re promoting. On the Bizmanualz Fan Page, we feed in our blog posts and articles, post photos and share information on our products, and provide information about upcoming training classes in the events section. Search Engine Journal did a quick over view of the pros and cons of each. Check out the features and decide for yourself whether to launch a group or fan page. The distinction here is that it should be an industry-related group — not a “my product is awesome” group. The key is to discuss issues related to the products and services your company provides, as you are in a unique position to comment on them. This is not to say that you’re out to trick those who join into thinking the group is something it’s not. Make it clear who is behind it, just don’t shove a marketing message down their throats. According to Flickr’s terms of service, you’re not allowed to sell anything or overtly use the site for commercial purposes. However, joining the photo-sharing community gives customers and potential customers another glimpse into the inner workings of your company — and people always love a good behind-the-scenes tour. Post photos of everyday activities in the office, training sessions, product mock-ups, meeting notes, and other ideas. Users will begin to get to know you and your staff, and hopefully even send some thoughts your way about potential products/services (thus filtering into your customer requirements). All of the previous steps will drive traffic to your website, often in a big way. Is your website ready? Imagine the way a new user would look at the site. Is it easy to navigate? Can you quickly find a way to contact the company? Is the design eye-friendly? Most companies don’t have the time or budget to completely redesign, but minor tweaks can make a big difference. Directing traffic to your website using all the social media networks available is great. It’s part of what Internet marketing is all about. But what happens when the people get there? Driving traffic can only do so much if your website is ineffective. So what does this one of the lead generation power tools really mean? What are you looking for? It needs to be easily navigable to ensure that visitors can quickly find what they are looking for. Users must easily be able to figure out how to contact you or submit a question. If the first thing your user sees when landing on your website is mass confusion, they’ll quickly bounce (pun intended). Also remember that the entry point to your website is often not your homepage. Think about it: if you’re linking out specific blog posts, product pages, staff bios, etc., the user experience starts there and not at Point A. Take a look at some of those pages. Can you figure out how to get to the homepage? Are there clearly defined pathways to get where the user wants to be? Another key to usability is checking your content on a variety of different browsers. Your pages may render perfectly in Firefox but make no sense in Internet Explorer (something we at Bizmanualz run into often). But don’t just stop at the big browsers. What Software Mock-Up Testing Tools Are Helpful? What Quality Tools Are Used for Process Improvement? What Performance Metrics Do You Use? Information Security Policy, How do you Write One?